Enjoy taster size portions of dozens of menu items ranging from simple pizza to delicious Winans chocolate. Purchases are made by trading tickets for food. The ticket booth is centrally located and no menu item is above 4 tickets ($4). 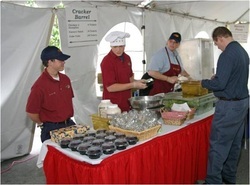 The ticket booth is centrally located near the food tents and roving ticket sellers are always available. Live entertainment fills the air in downtown Piqua. The featured entertainment will have you singing along and dancing in the streets. The "Back to School" barbershoppers are also strolling around and if you are not careful you just may be serenaded! 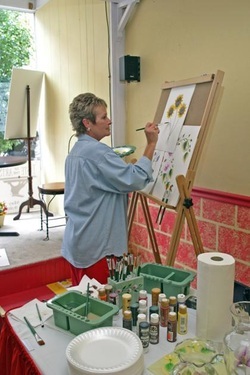 Storefronts throughout the downtown area are hosting demonstrating artists who are happy to explain their art and engage with the festival attendees. A full schedule of events, listing all the demonstrating artists, is available at the food ticket booth. The Main Street Kids Zone features six different youth-oriented organizations providing free activities for the kids. 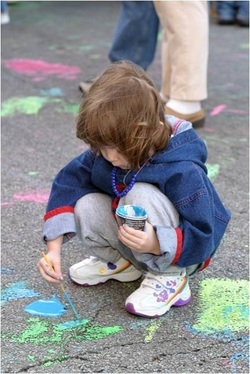 From spin art to mask making the kids will find themselves entertained for hours!